So we finally meet, i whispered softly. It responded by utter silence, either ignoring me or was it already looking forward to what was to come? Hard to tell. I’ve dreamt about this moment, lived through it a thousand times in my mind. It could all turn for the worst in a second, or for the best. Who will tell… who? Pacari 100%. Raw. I reached out, gently picked up a piece and brought it to my mouth… no way back now! 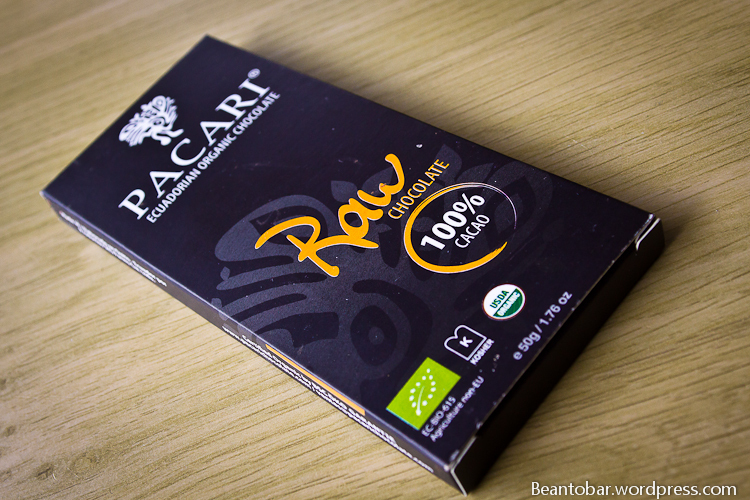 Pacari offers a line of Raw chocolate. This means the beans ar fermented, but weren’t roasted, rather processed in a natural state. This would keep all of the good anti-oxidants, vitamins, magnesium, iron, etc. within the chocolate, instead of being reduced by a heat treatment like roasting. 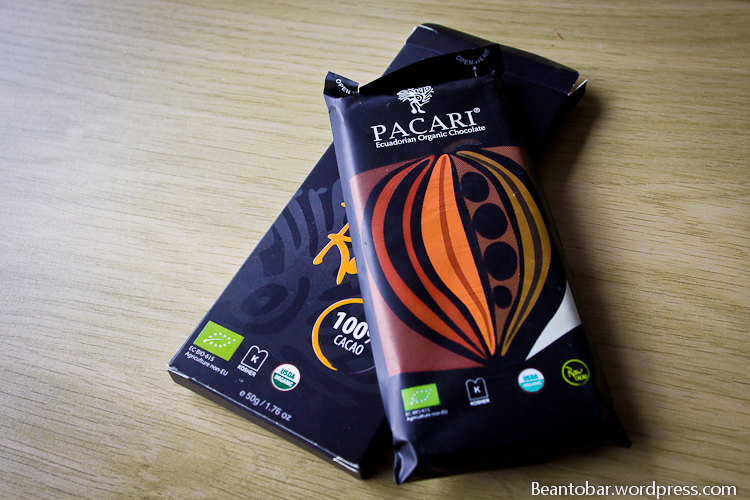 Pacari produces bean-to-bar premium chocolate in Ecuador. Colour: A deep deep brown colour, nearly black. The tablet looks sleek. Aroma: As one would expect lots of dark chocolate, but surprisingly also red fruit, with a distinct earthyness in the back as a small warning of what’s to come. Taste: The earthyness and tannins overtakes the palate instantly, no hunch of sweetness present.It grabs you like no chocolate ever did before. It takes some seconds before other tastes come through, as your palate slowly adjusts itself after the initial shock. Then the pure cacao comes on. It’s only because I’ve eaten real cacao beans that I recognise the taste. It’s cacao in its purest. Mingled in a deep dark espresso taste followed by tardiness and a nutty finish. It reminds me of chestnut. The aftertaste is remarkable chocolaty in nature with the nut tones and tannins hanging on. It is quiet an experience to taste this chocolate. No sugar, a little coarse in the melt, but still tons of flavor. This isn’t subtle chocolate, it is strong and will overwhelm anyone who isn’t used to high percentage chocolate. 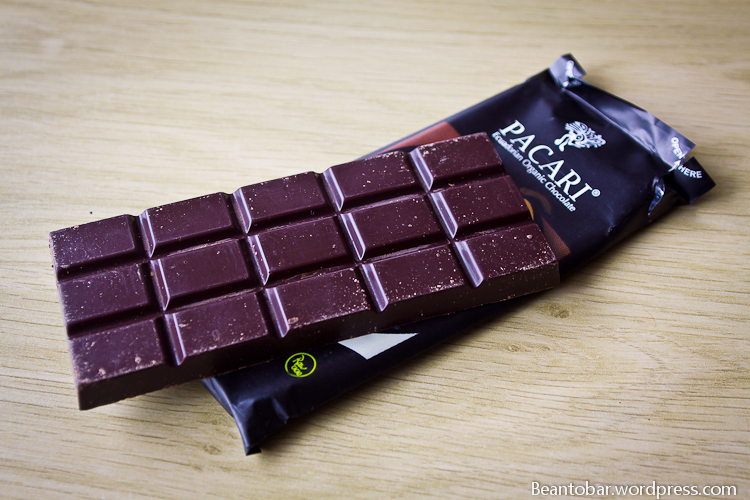 But for the ones looking for genuine cacao taste, this is as close as you get without actually eating a bean. I only hoped that the fruits from the aroma would come through in the taste, which doesn’t. Well worth the try, but I still prefer 80-90% cacao’s so far, as they reveal even more tastes.